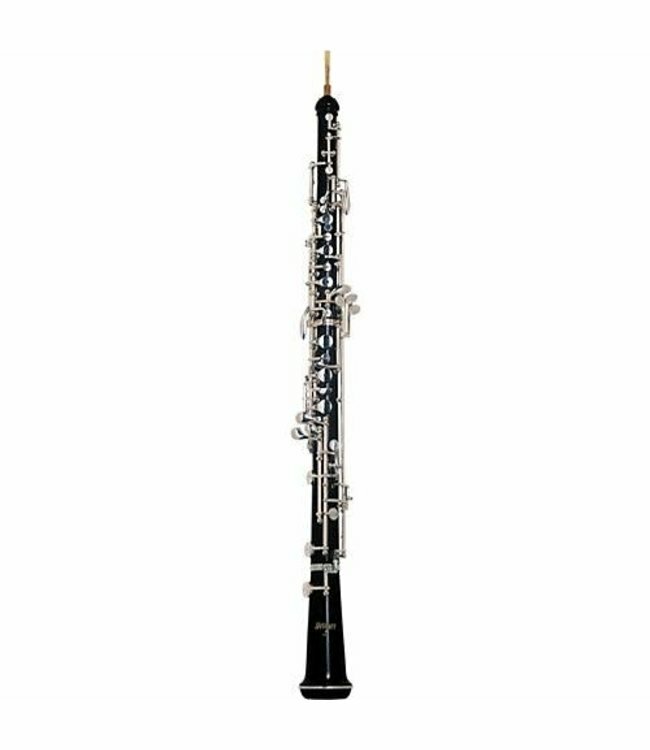 The 122F features heavily silver plated, modified conservatory system key work provides the young oboist with all of the needed bells and whistles (low Bb / forked F resonance / A-Bb and C-D trills). Complete with French case with cover. Grenadilla wood body, modified conservatory system to low Bb, left-hand Ab-Bb & C-D trill keys, fork F resonance, silver plated polished keys.